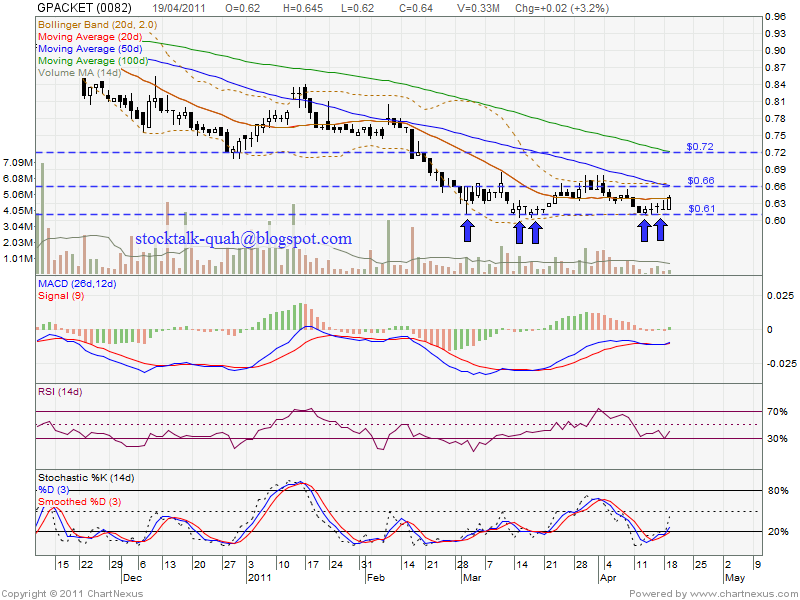 If rebound, most probably will retest RM0.66 level which is MA50 level. 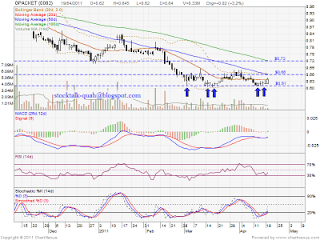 If the rebound strong, might retest next level of resistant which is MA100, RM0.72 level. 14 & 15 April 2011, GPACKET formed two doji candlestick pattern. Subsequently, MACD indicator & Stochastic %K are trigger buy call.